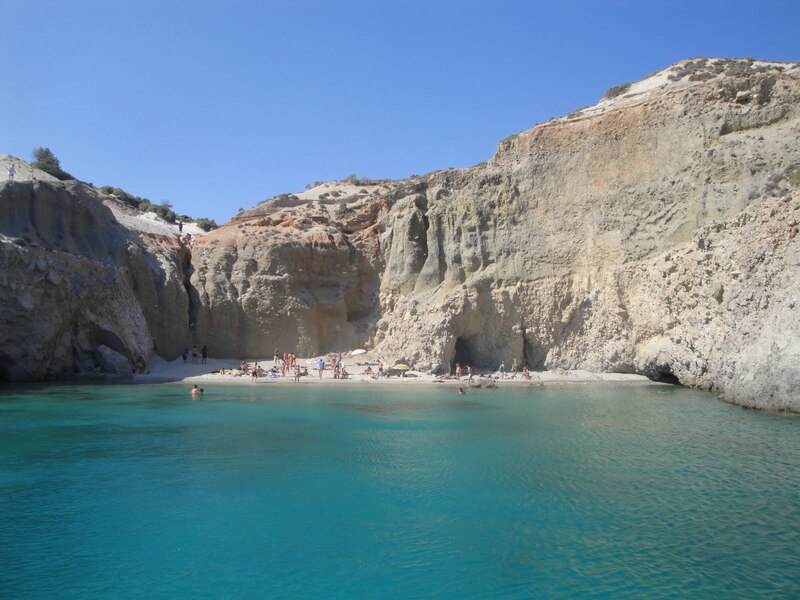 If the island of Milos is charming due to its rare morphology of terrain, the variety of colors renders a Milos beach beautiful. 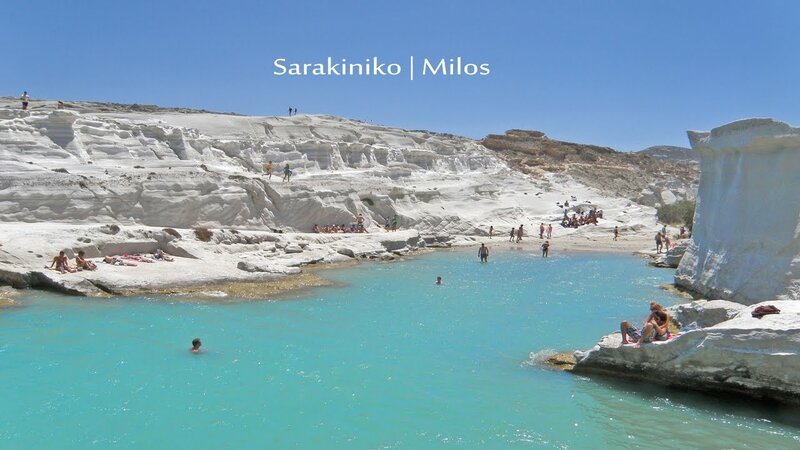 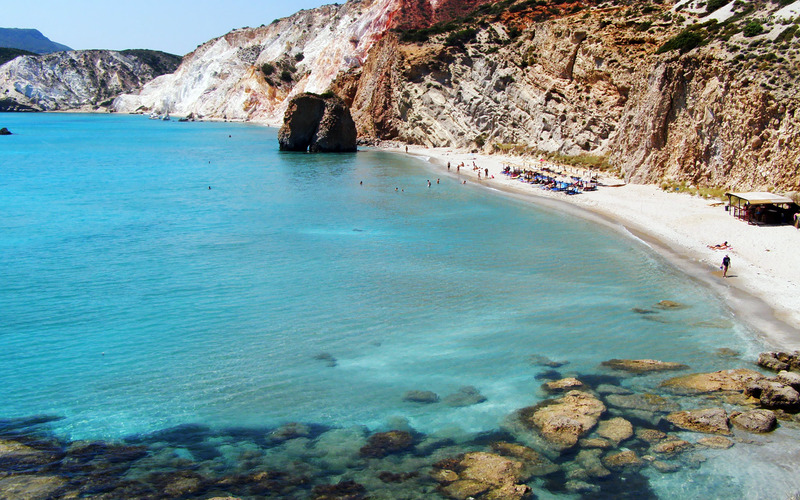 The Milos beaches come in various sizes, shapes and impressive colors - black, white with sand, shells and pebbles. 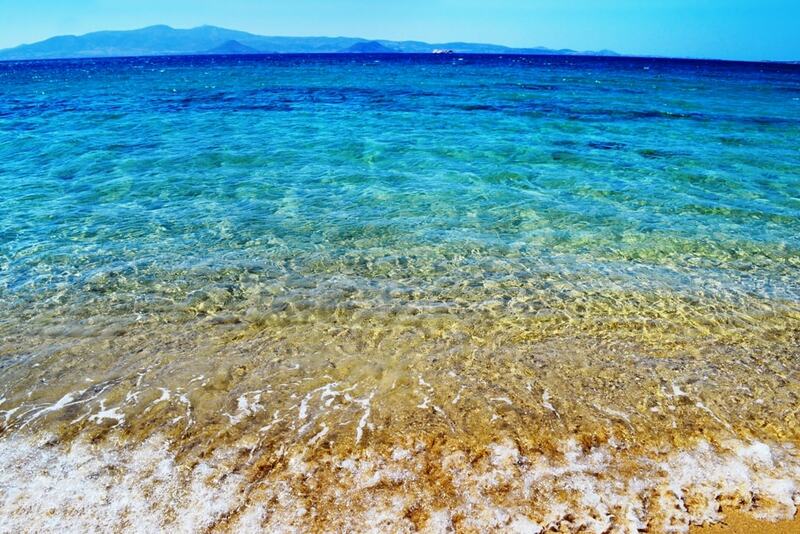 The water lends its and toward beautification by being crystal clear with a green, emerald, deep blue or pale blue colors. 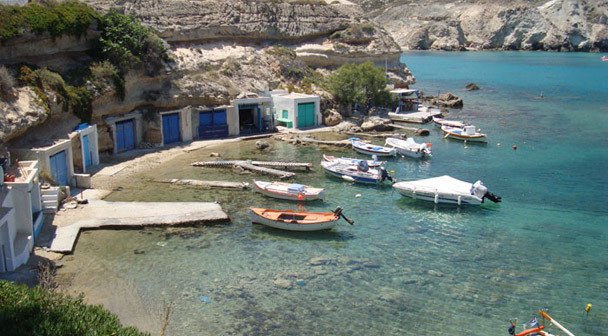 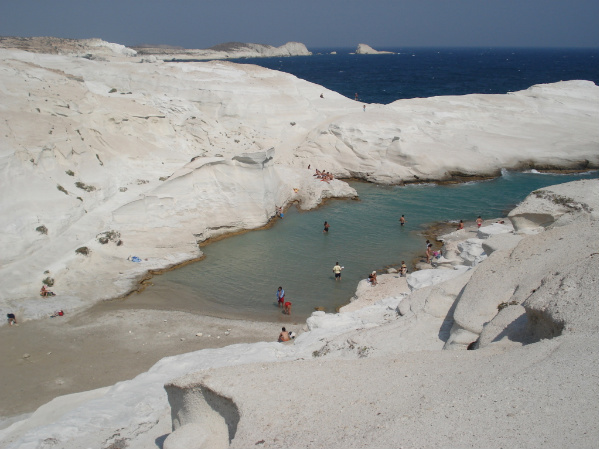 Most small milos beach sites have been created by constant pounding of water on the rocks. 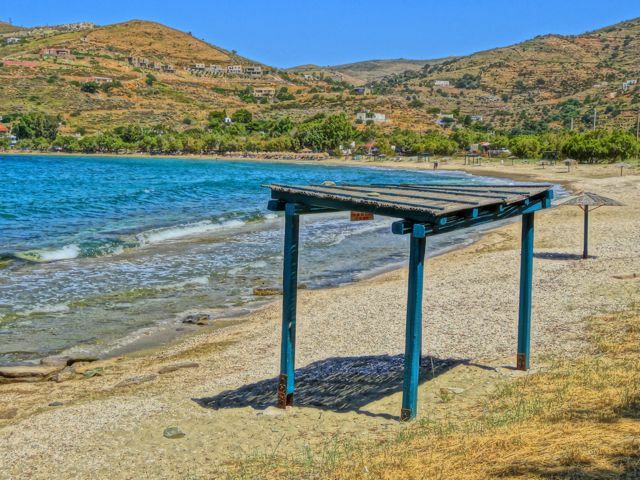 They are accessible by paved roads. 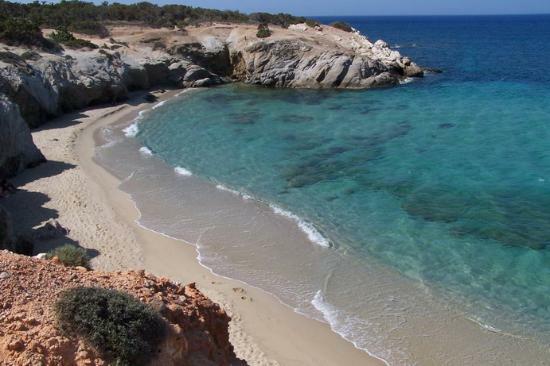 Some beaches are accessible only from the sea. 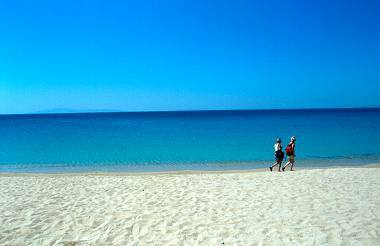 Many beaches are worth viewing from the sea because of their eternal timeless beauty which cannot be judged from being there. 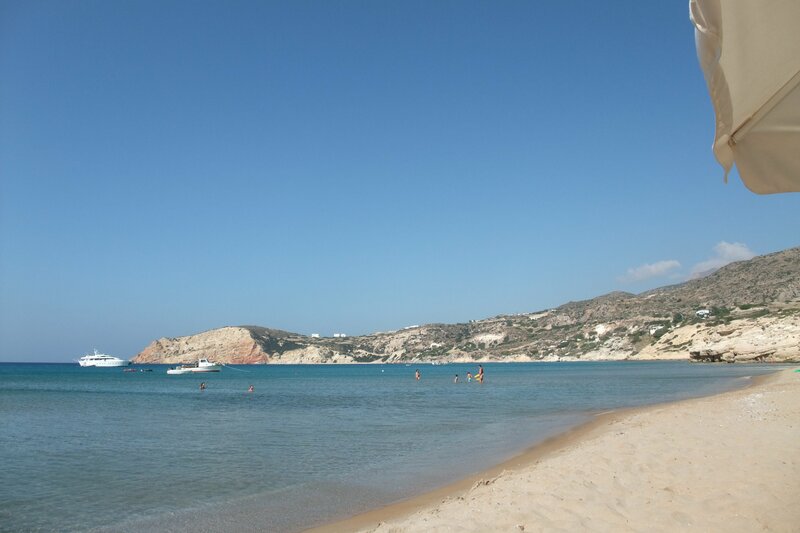 Achivadolimni is a mostly unorganized beach without facilities (only a few trees and parasols in the beginning, which is not the best part of the beach). 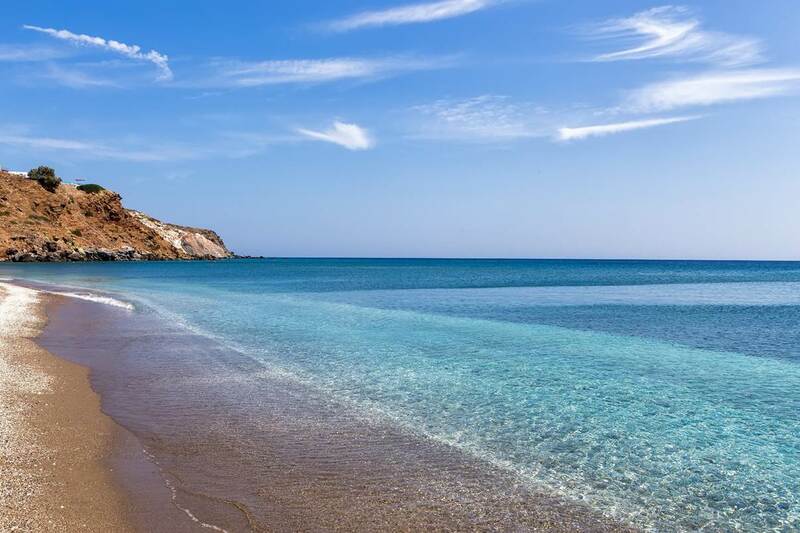 There is some rubble floating in the water at the beginning of the beach, but walk a hundred meters and it is gone, the water is crystal clear and the beach becomes clean. 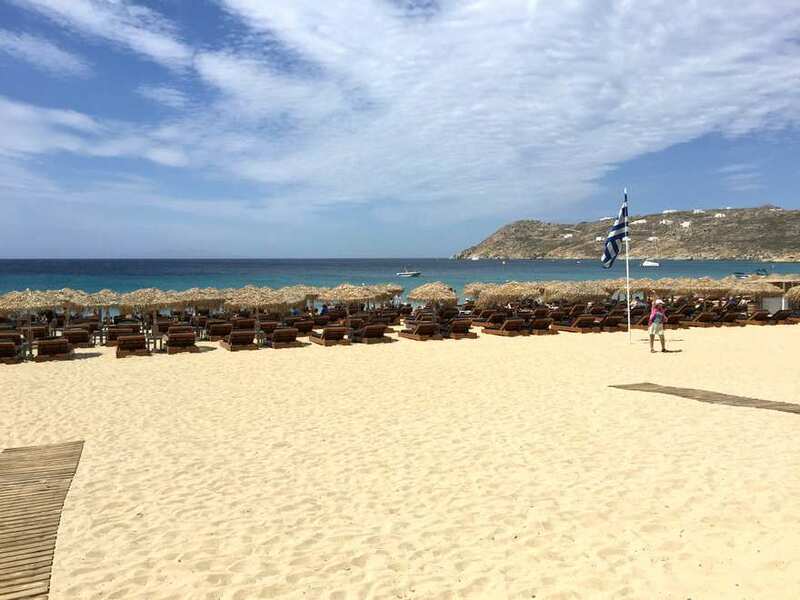 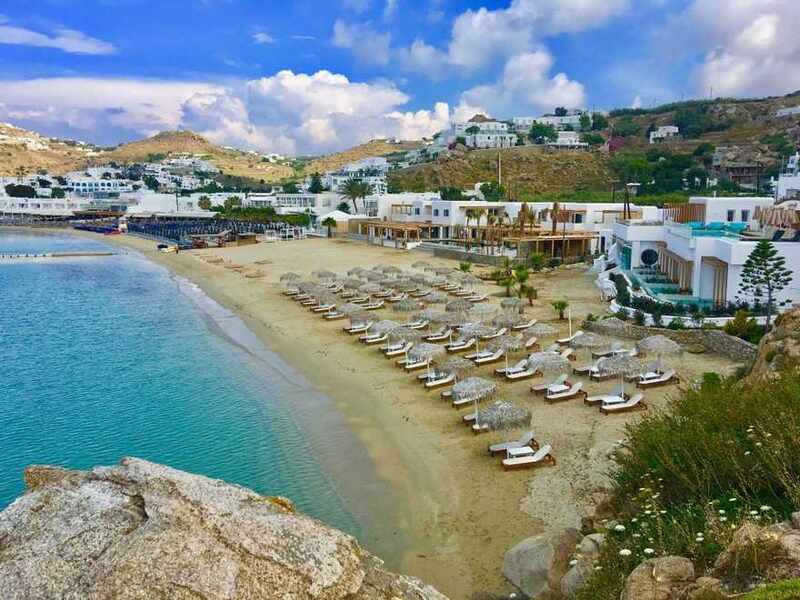 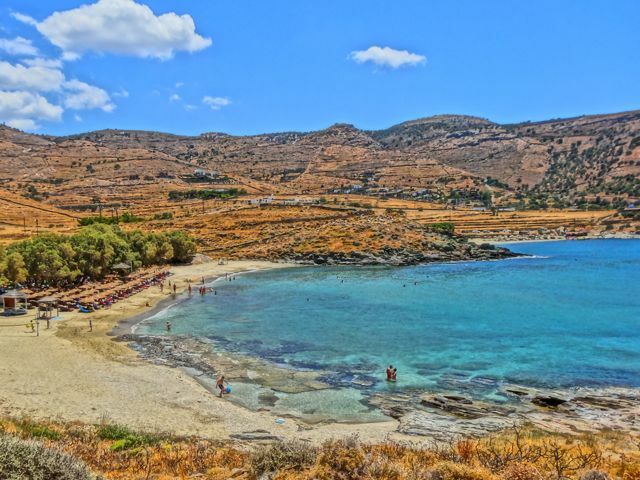 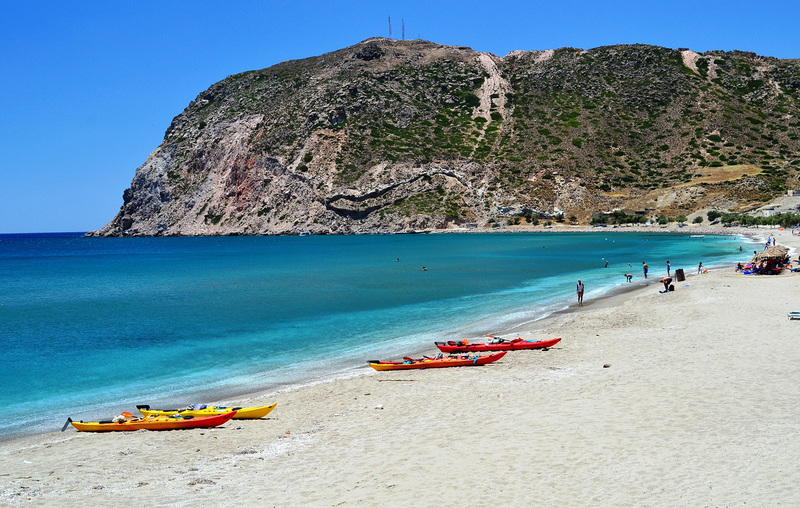 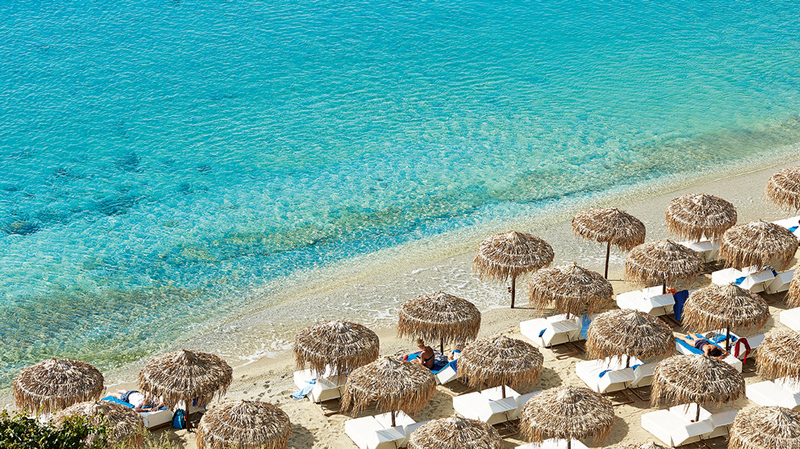 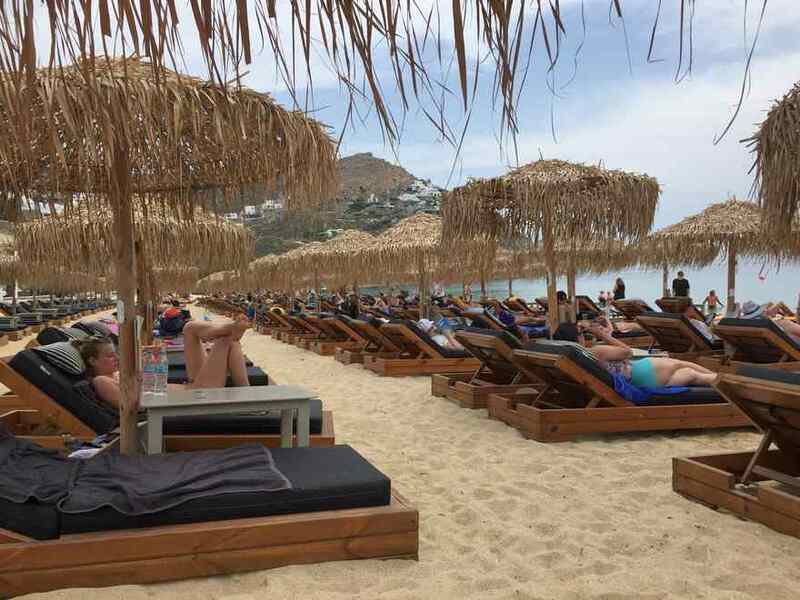 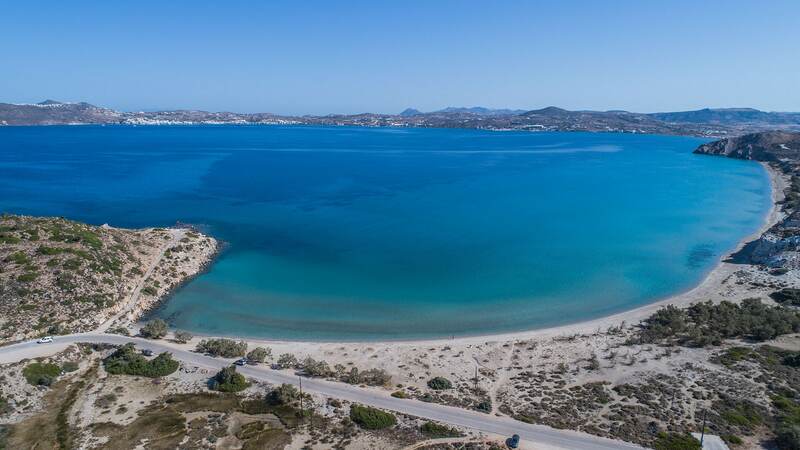 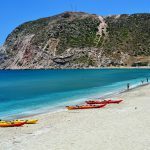 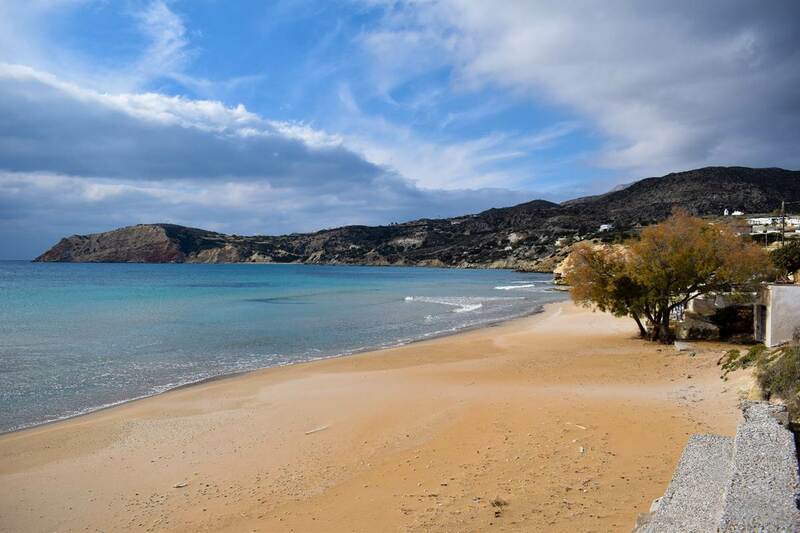 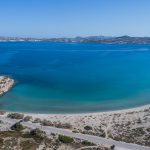 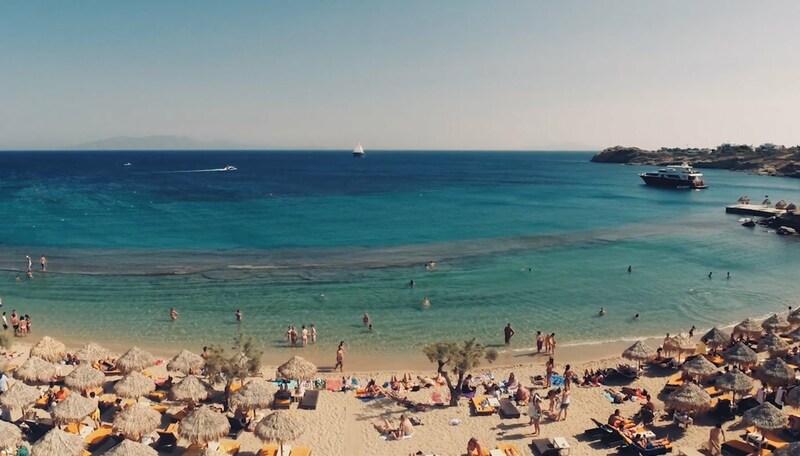 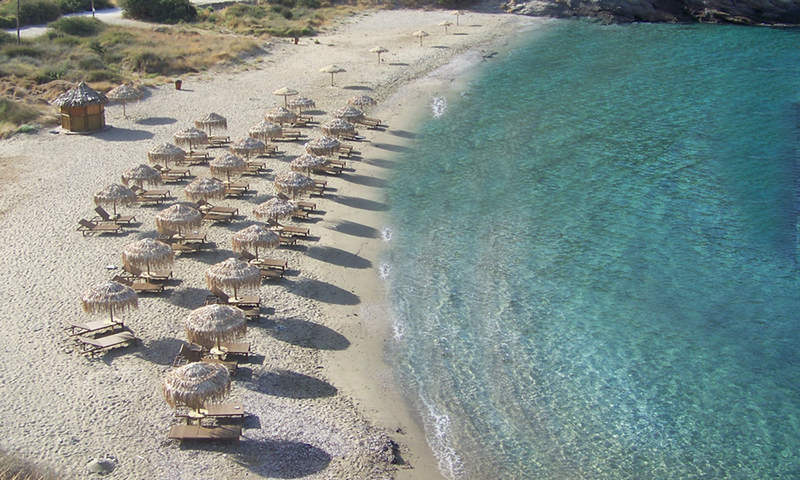 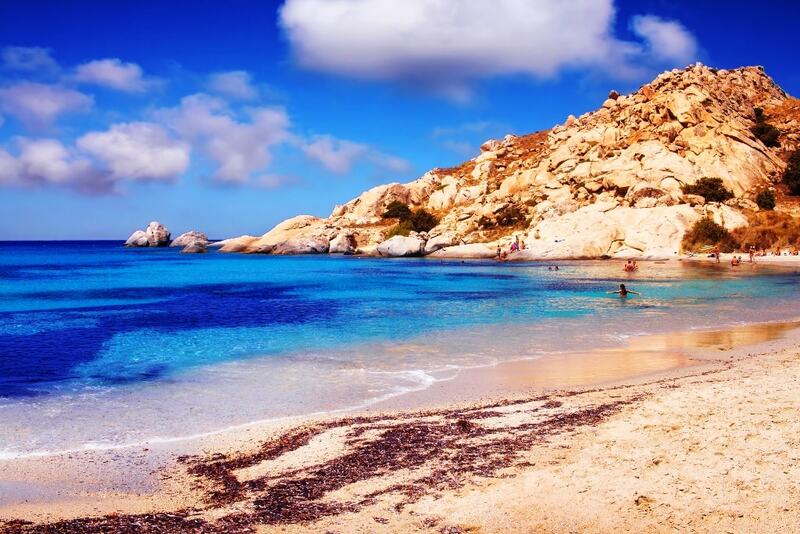 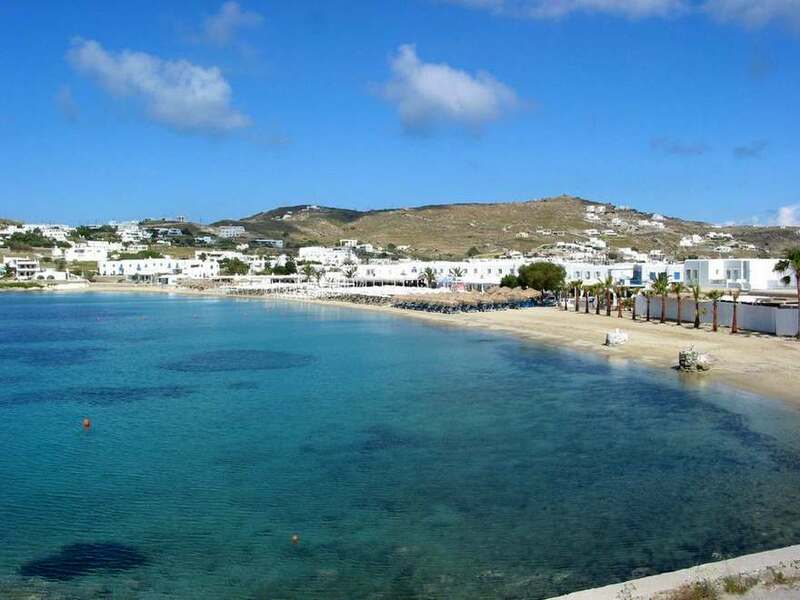 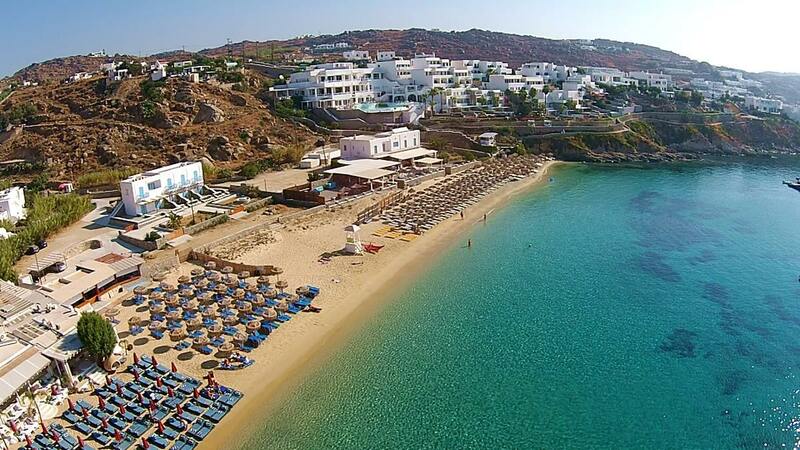 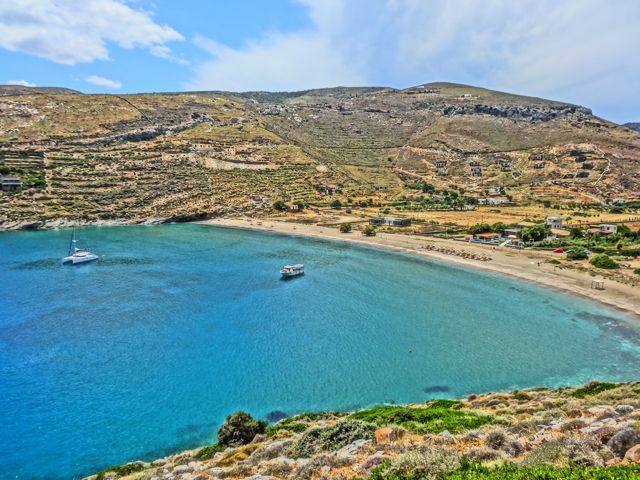 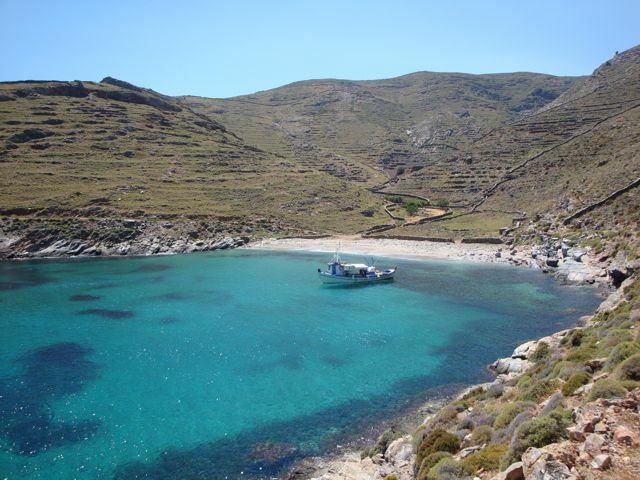 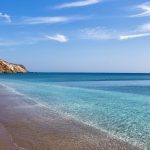 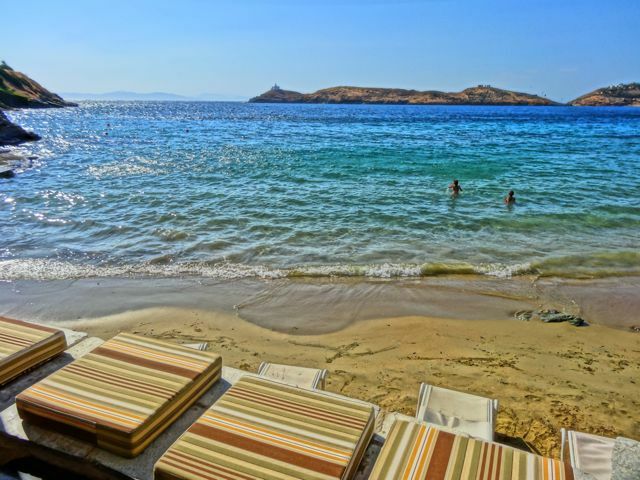 Agia Kiriaki Beach is one of the most popular beaches of Milos island, due to its lovely sand, the white pebbles along the waterside, the crystal waters and the wild rocky landscape. 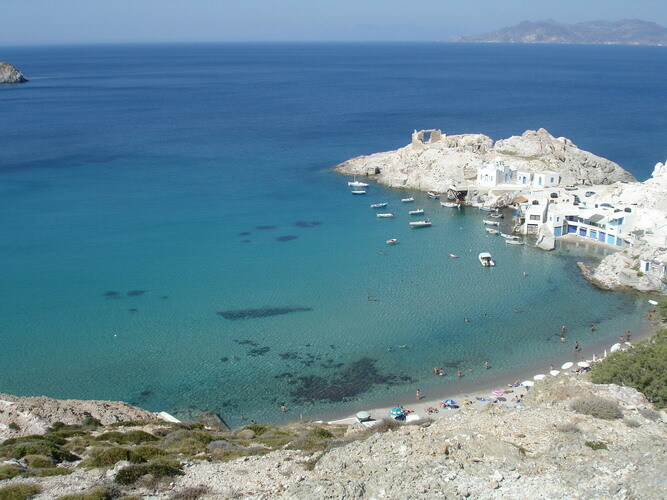 At first sight, the place will look familiar as it is pictures in most travel guides about the island. 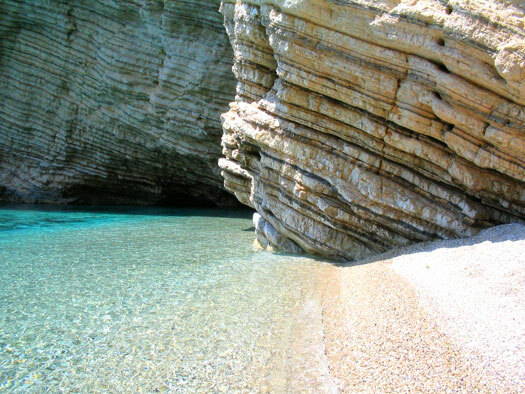 Impressive rocks spring up from the sea, forming natural caves and rare geological phenomena. 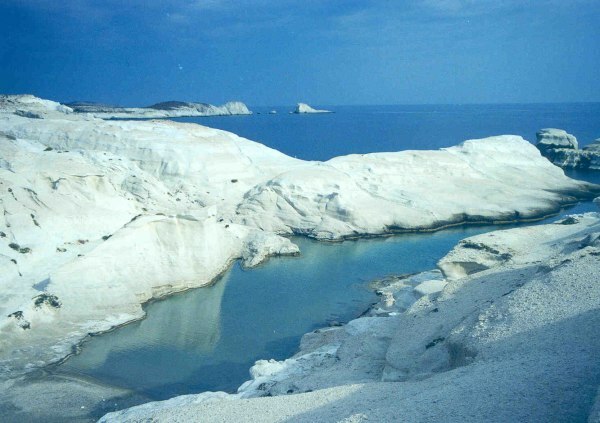 It is also, known as the "Sea Meteora". 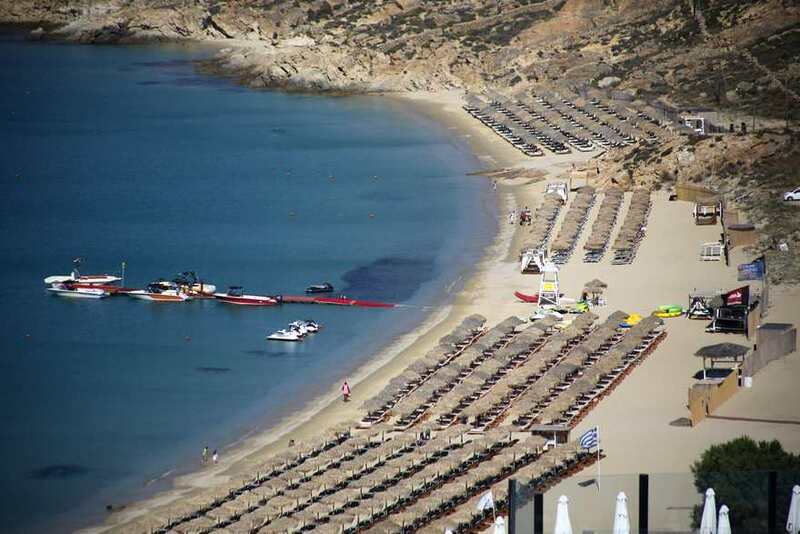 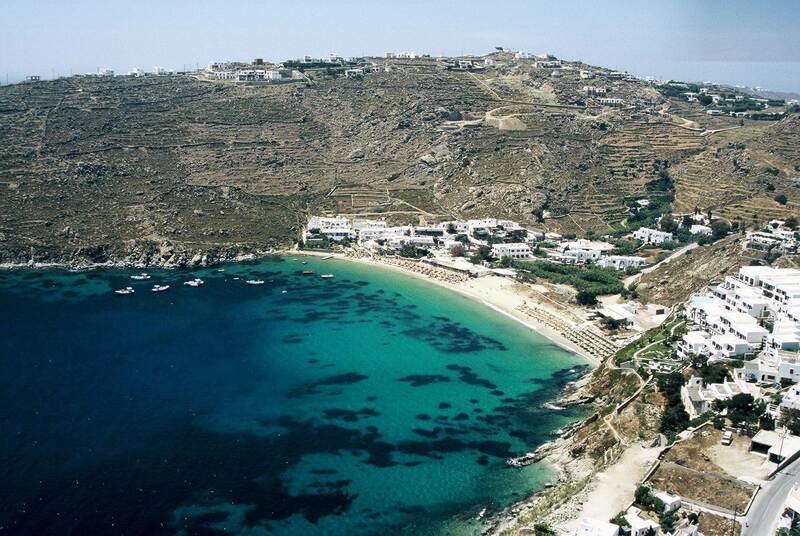 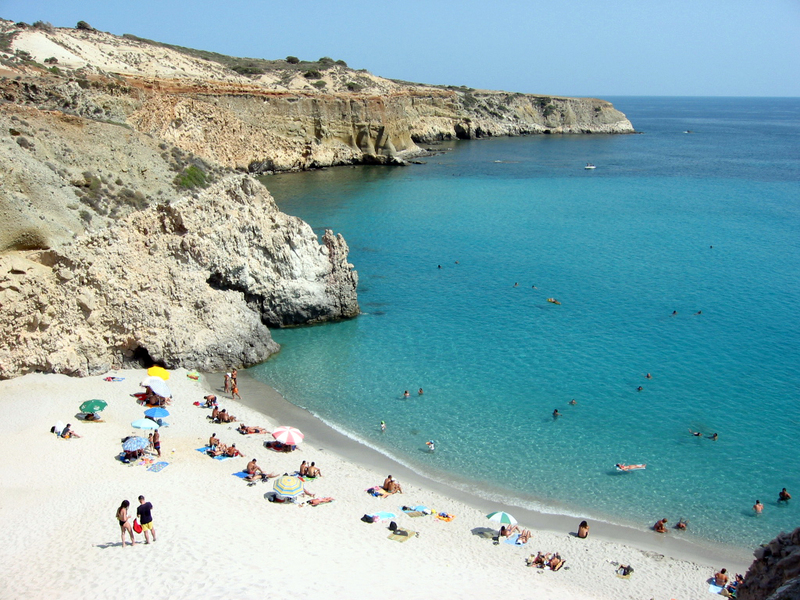 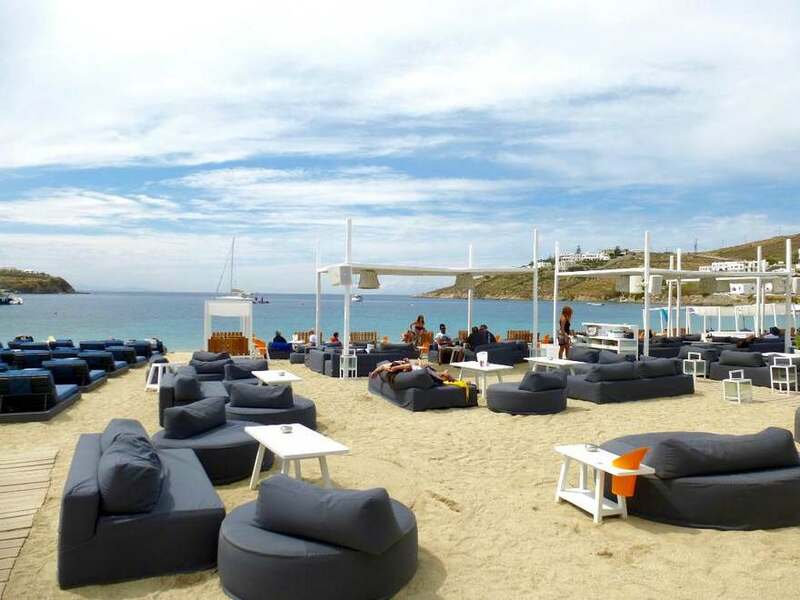 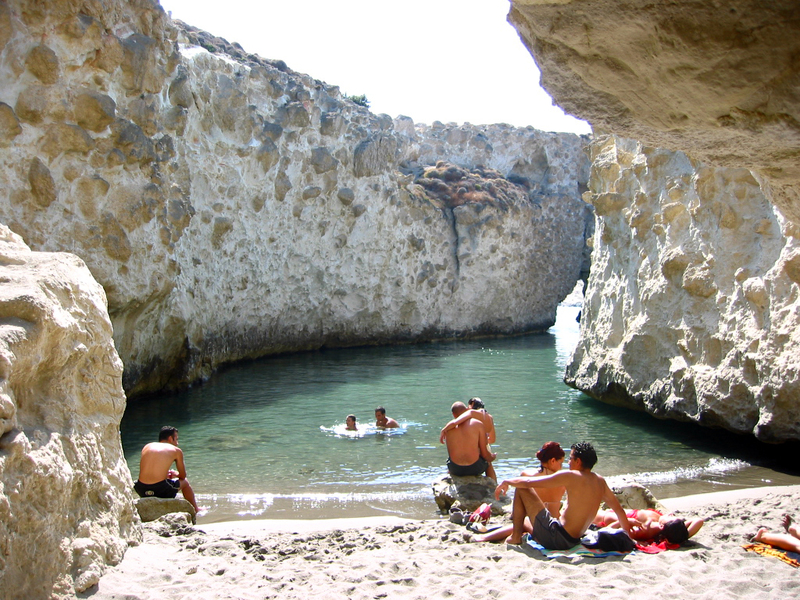 Milos Papafragas Beach is one of the most impressive beaches of the island of Milos. 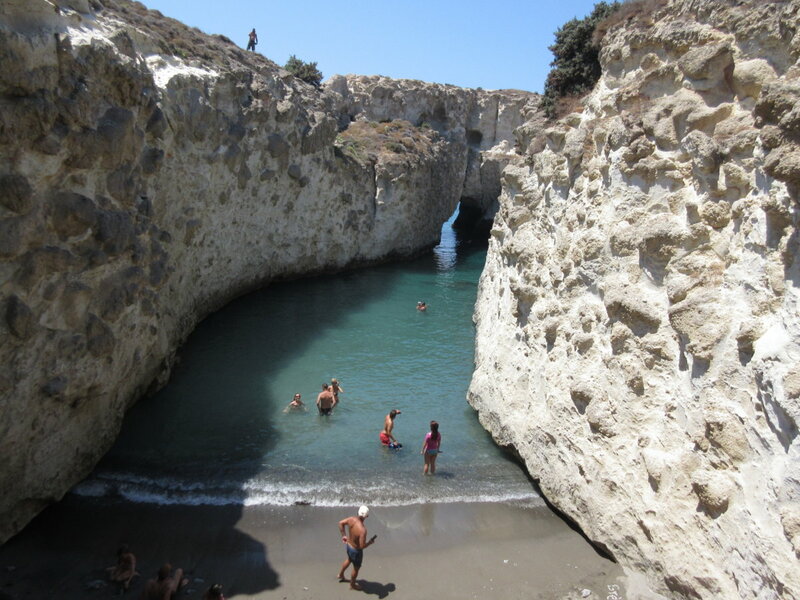 Access is quite difficult, however it is a favorable spot worth visiting. 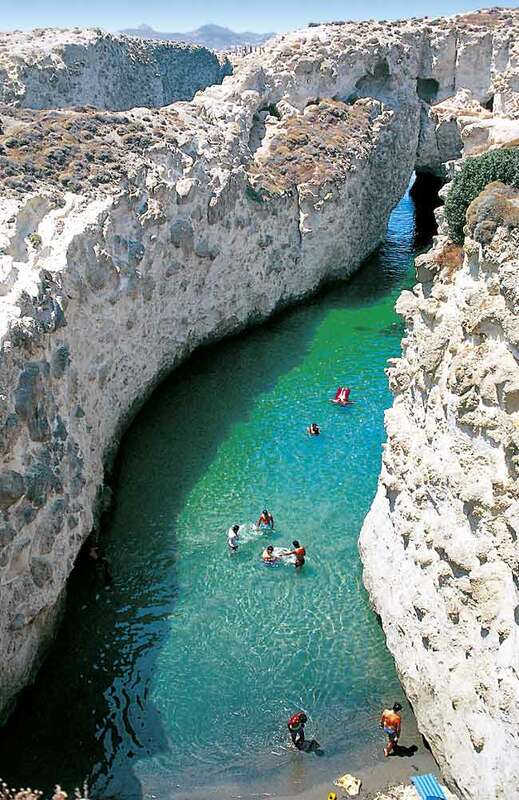 You can get there over a narrow path. 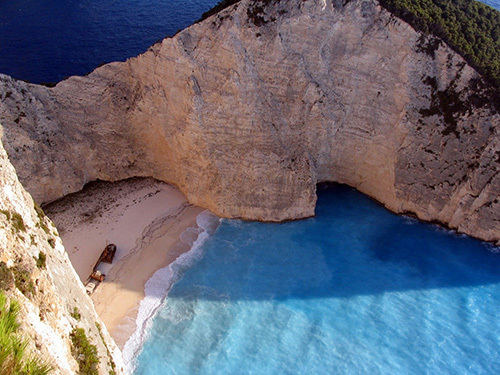 From the top of the rock the beach looks like a turqoise swimming pool or canal, with high white cliffs surrounding it, and there are caves. 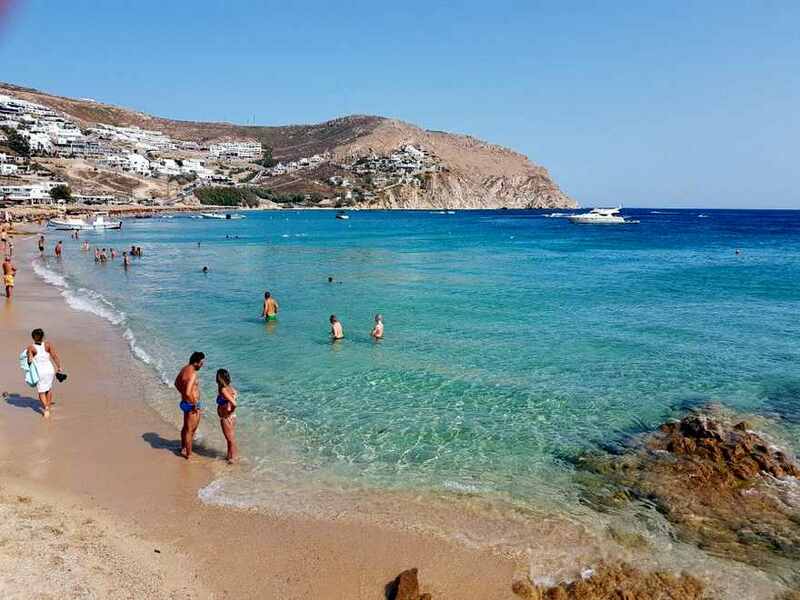 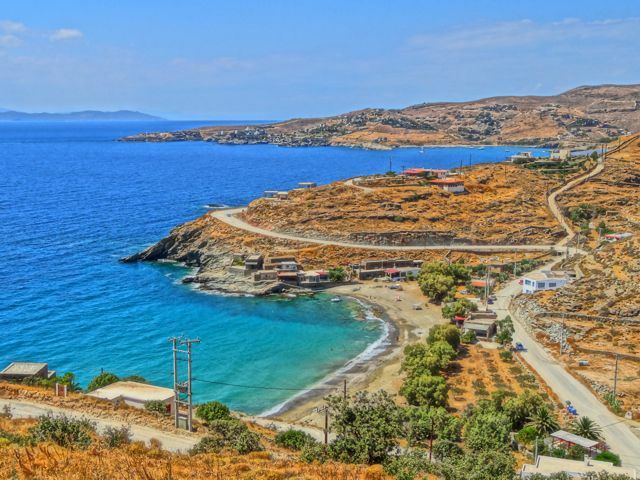 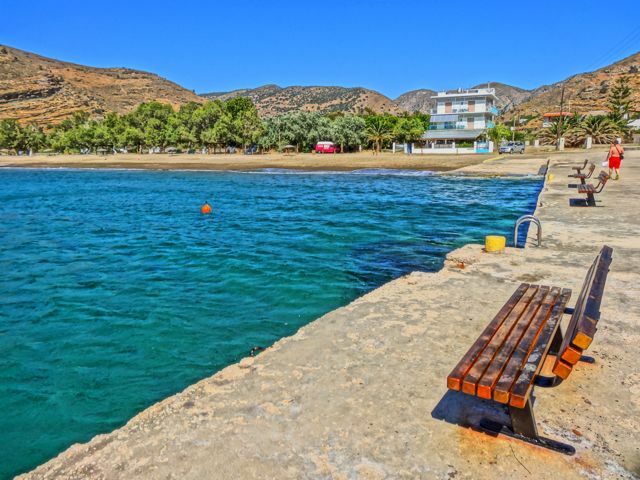 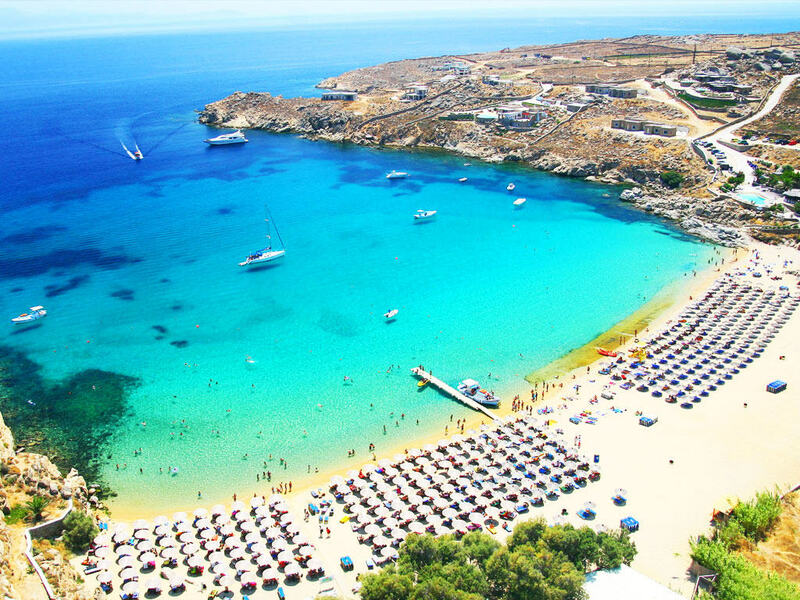 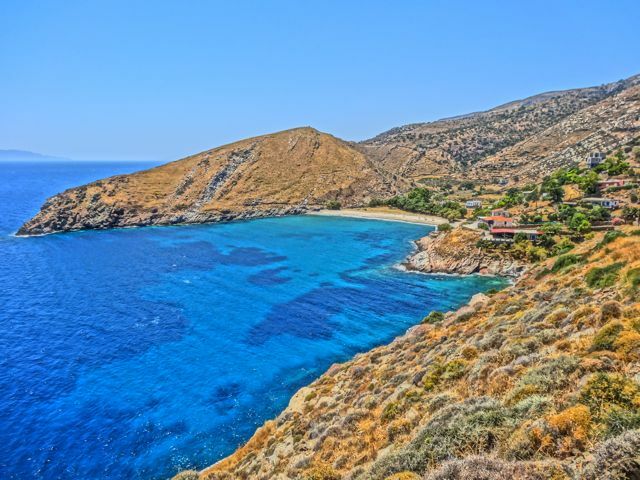 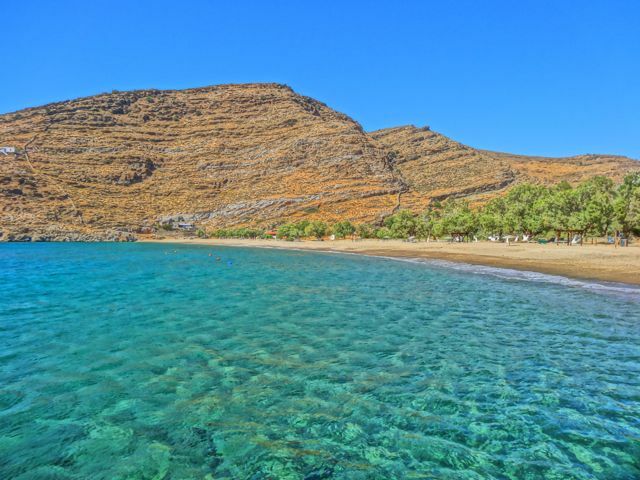 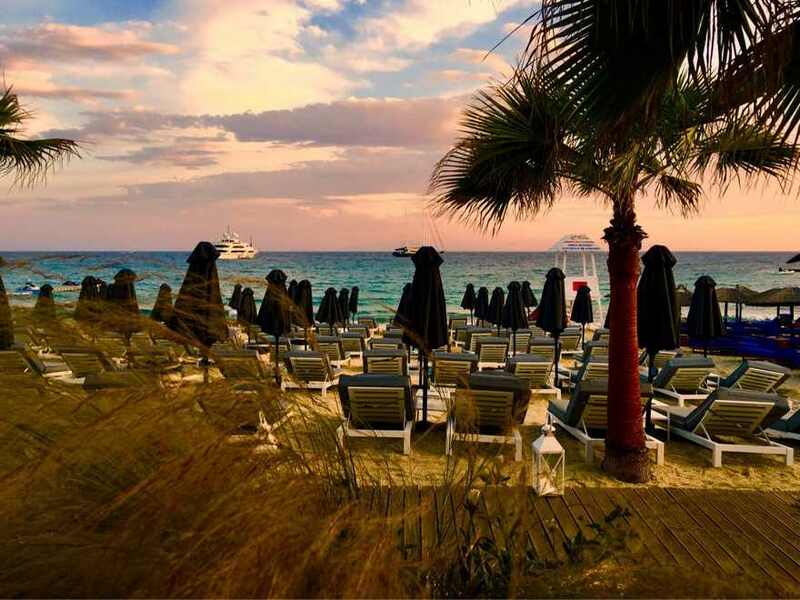 Milos Paleochori Beach is a beautiful beach with amazing water and color variations that rank among the most popular beaches of the island.The Paleochori beach is a beautiful beach with amazing water and color variations that rank among the most popular beaches of the island. 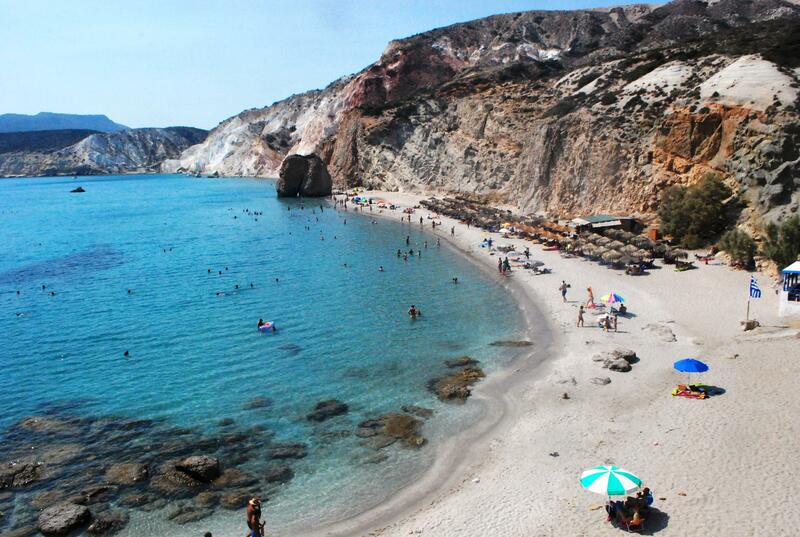 Milos Provatas Beach is a sandy family beach in the south of Milos. 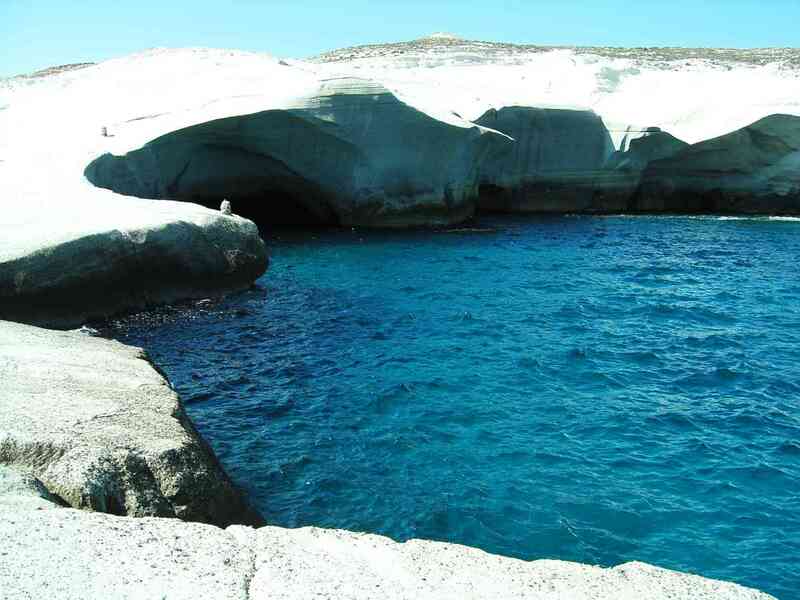 It is positioned in the "middle" of the south on its narrowest point. 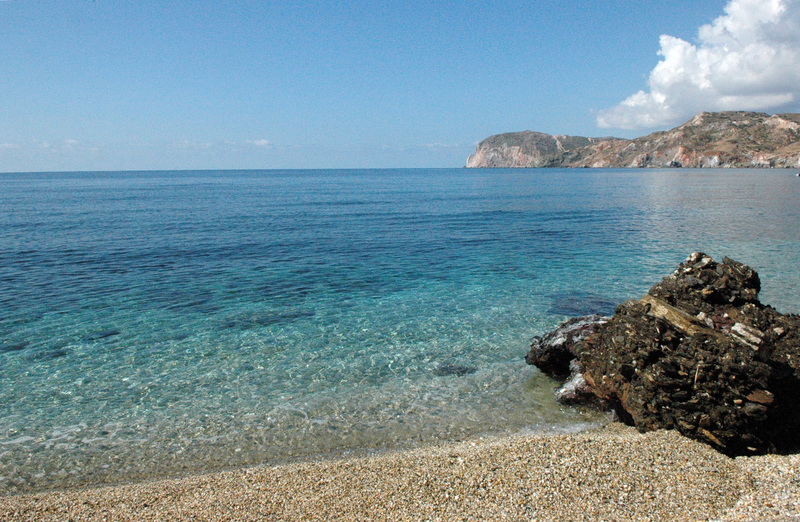 The waters at Provatas Beach are shallow and so it is perfectly safe and suitable for small children. 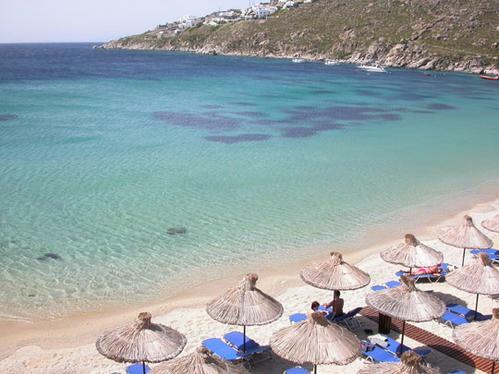 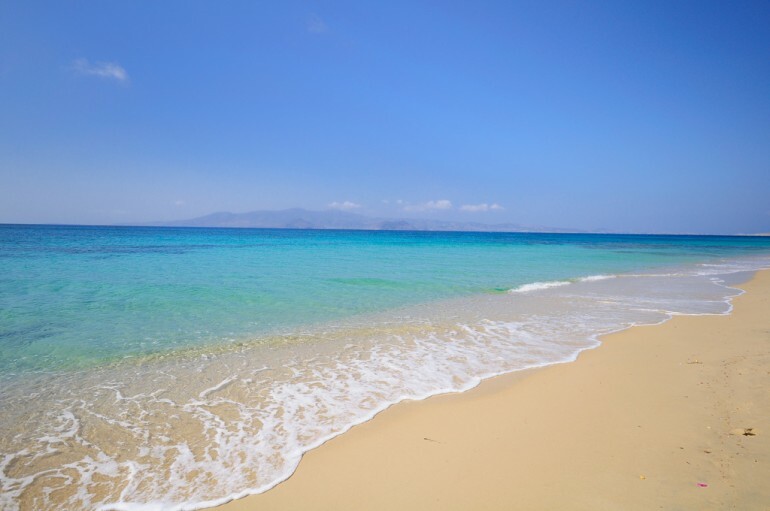 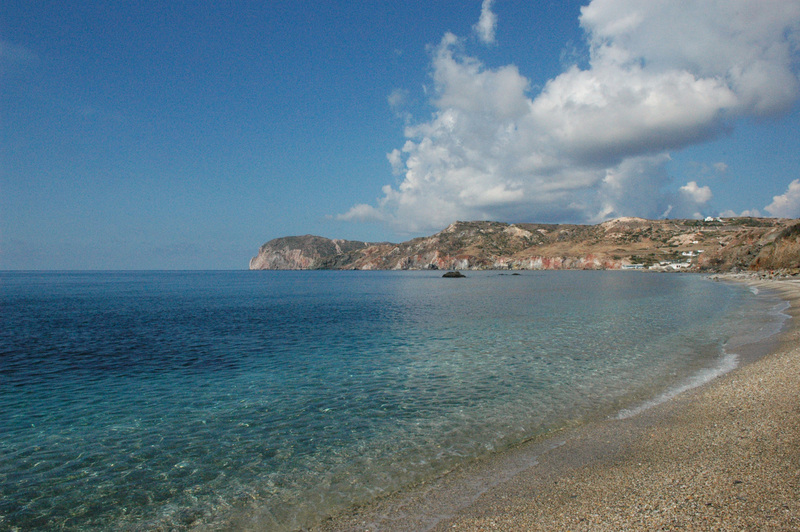 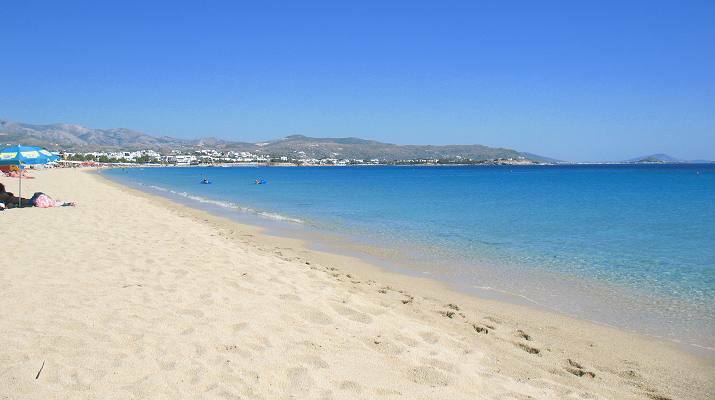 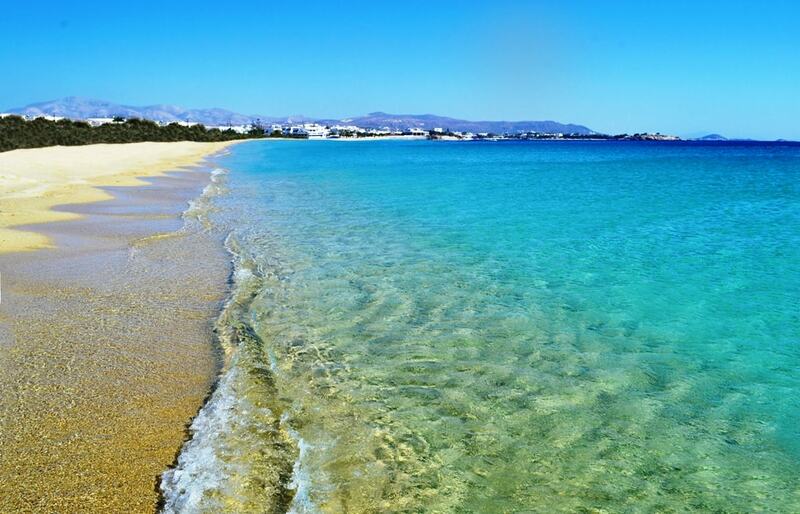 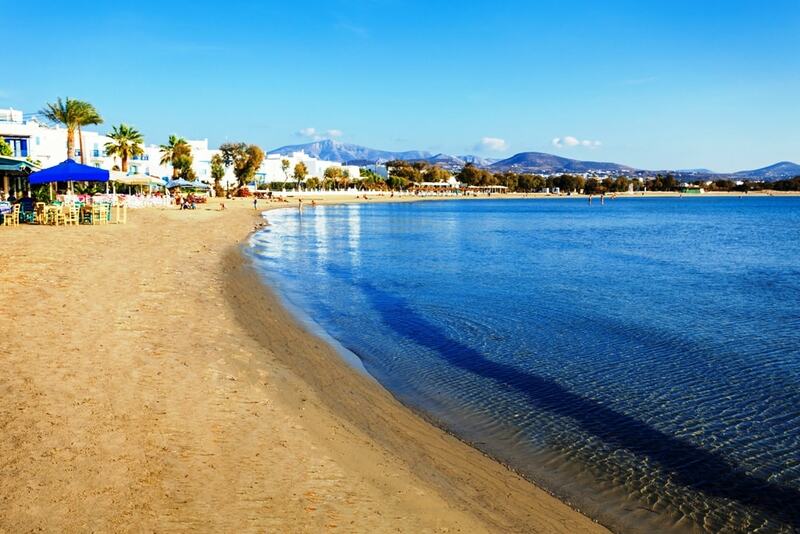 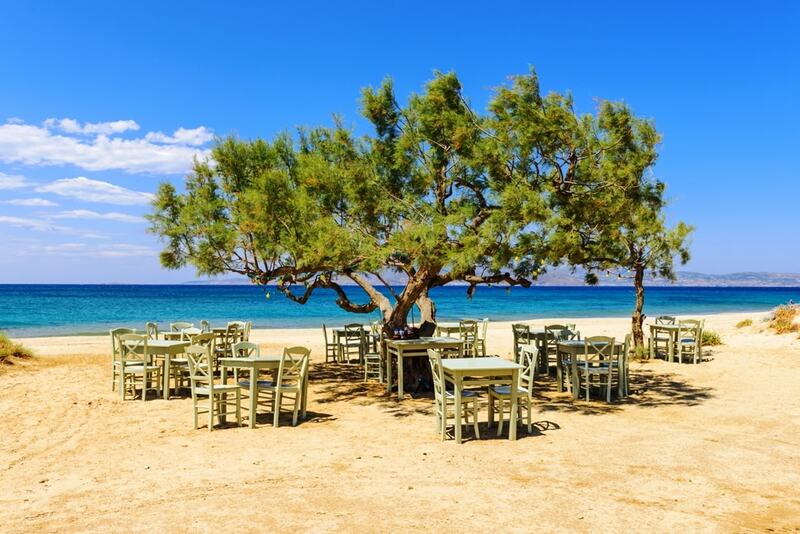 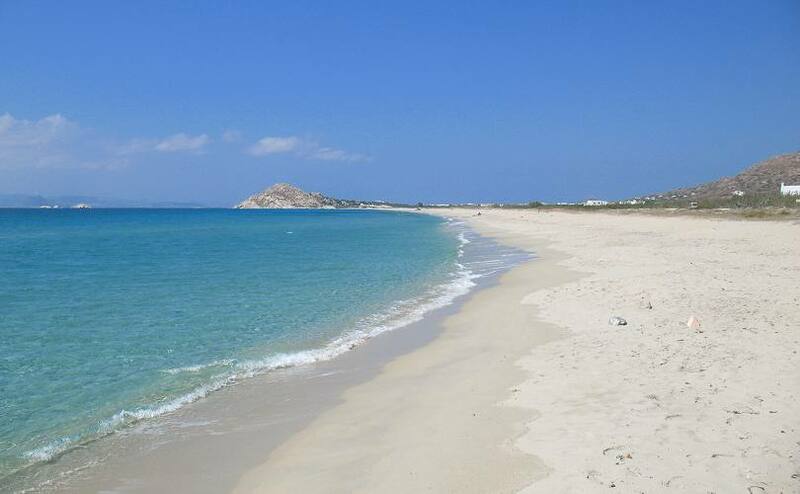 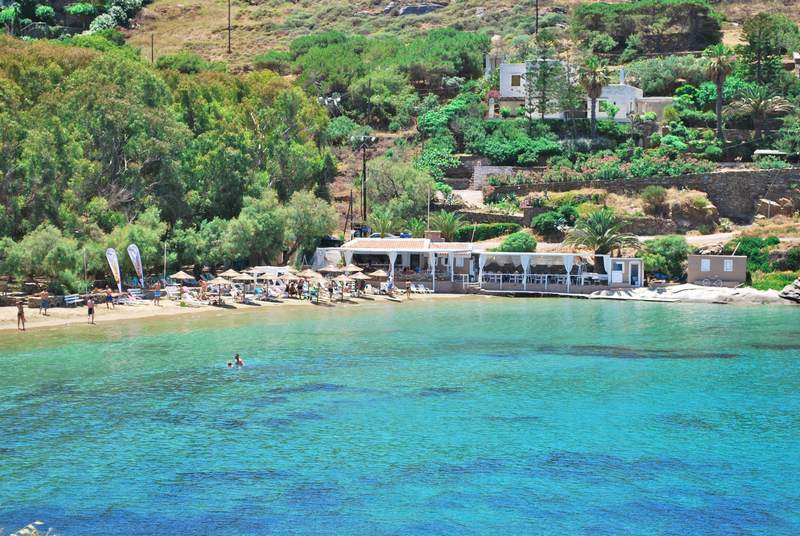 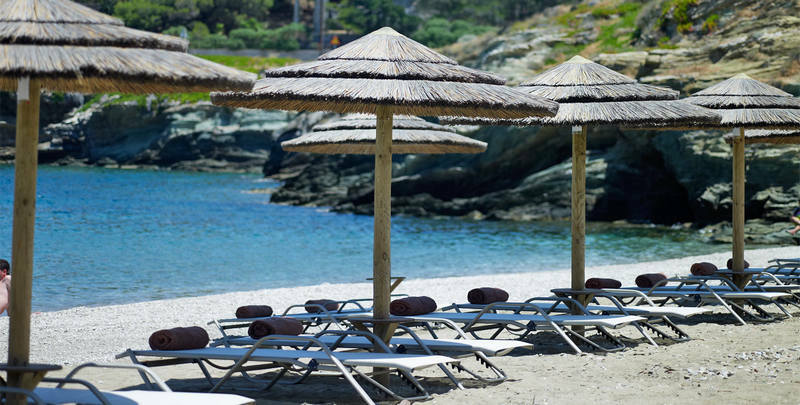 Milos Tsigrado Beach is a magnificent beach, situated next to Firiplaka. 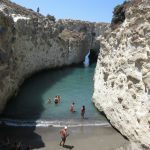 It is a small sandy cove with crystal water surrounded by beautiful rocks and caves.